Robin Reid, of Vermont, took these photos at the Willie Nelson Country Throwdown show last summer, in Essex Junction, Vermont. See more of Steven’s great photos HERE. Slather on some sunscreen and break out your most patriotic attire — Uncle Willie’s comin’ home for the holidays. It’s been five years since Willie Nelson’s 4th of July Picnic was last held in the Stockyards, and there will be a few new twists. 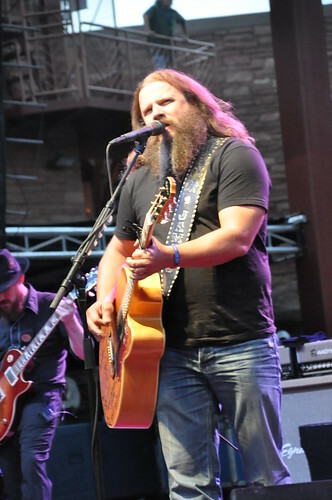 For the 2011 edition, it will take place inside and outside Billy Bob’s Texas, as the headlining acts (such as Nelson, Jamey Johnson, Ray Price and David Allan Coe) perform on an outdoor main stage in Rodeo Plaza, with more music unfolding inside, on Billy Bob’s main stage. In addition, the picnic is joining forces with the ongoing Country Throwdown tour (of which Nelson’s currently a part) to bring even more talent to the Stockyards. The picnic marks the grand finale of this year’s Country Throwdown tour. The first performer gets going at noon Monday. Given this year’s two-stage setup, it will mark the first time in the picnic’s Fort Worth history that organizers are setting a limit on the number of attendees, which will be well below 10,000, according to organizers. “We are really excited, for us [and most of Texas], the Fourth of July is not only a time to celebrate our nation’s birthday, but it means ‘Willie’s picnic,'” says Pam Minick, marketing director for Billy Bob’s Texas. 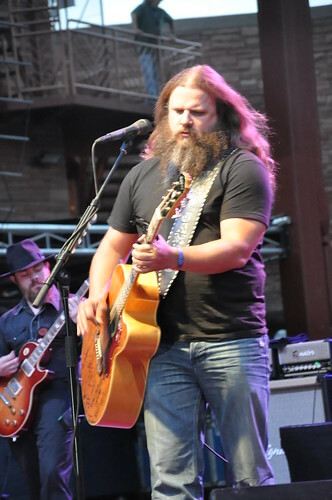 Jamey Johnson: The reigning trad-country king (sorry, George Strait) whose songs cut to the bone while maintaining an old-school aura. His most recent effort, last year’s double LP The Guitar Song, earned him near-universal acclaim — Allmusic.com’s Thom Jurek called it ” the country album of 2010″ — and three Grammy nominations. Expect a reverent yet rowdy crowd. Leon Russell: This Oklahoma singer-songwriter, fresh from his triumphant 2010 tour with superstar Elton John, is once again a popular draw, just as he was in his ’70s heyday. Russell’s collaboration with John, the T Bone Burnett-produced The Union, was his best-received record in years. There should be a healthy crowd turning up to see Russell work his not quite-country, not quite-rock magic. Randy Houser: Small world — Houser co-wrote the notoriously goofy (and wildly popular) Honky Tonk Badonkadonk with Jamey Johnson, yet has also made a name for himself as a fire-breathing throwback to the way country music used to be. The Mississippi native released a new single, In God’s Time, earlier this year, as an appetizer for his as-yet-incomplete third studio album. 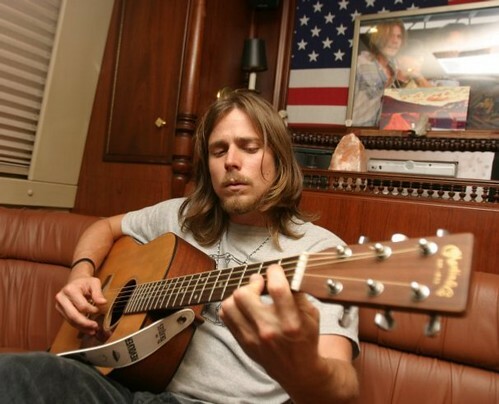 Lukas Nelson & the Promise of the Real: Yeah, there’s a bit of nepotism in the picnic line-up (Willie’s sister Paula will also perform a set), but Lukas has done pretty well for himself without too much help from the old man. The group’s debut LP dropped at the end of 2010, so most of this year will be spent on the road, honing the eclectic tunes inspired by everything from reggae to rock. Caitlyn Smith: Minnesota native Smith name-checks a variety of artists important to her artistic development: Patty Griffin, Alison Krauss, Wilco and Keane are just some of the folks that inspire her. Smith is part of the “Bluebird Cafe” stage, which is part of the Country Throwdown tour. It’s an area designed to highlight up-and-coming singer-songwriters; stop by throughout the day and you may just find a new favorite. 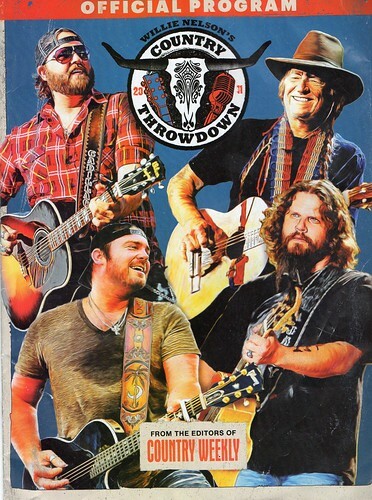 If you go to one of the Country Throwdown shows, make sure you grab a program. 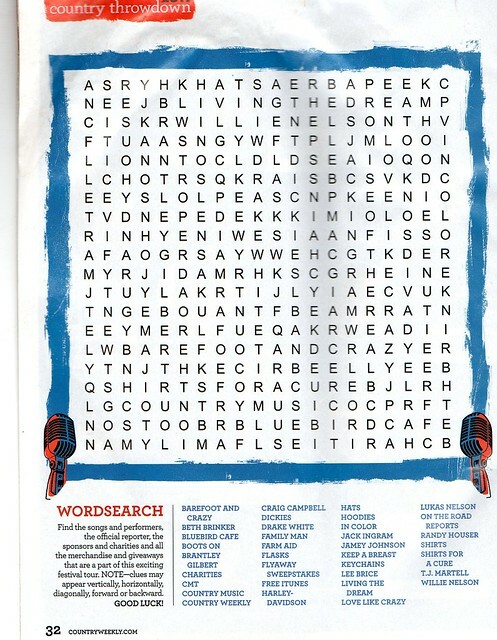 It is full of pictures, and puzzles, too, like this one. Willie Nelson’s Country Throwdown Tour 2011 at the Las Palmas Race Park in Mission, TX tonight has been cancelled. Due to insufficient production capabilities at the Las Palmas Race Park, the Willie Nelson’s Country Throwdown Tour 2011 stop in Mission, Texas, today (June 30) has been canceled. We hate to disappoint enthusiastic fans, but we believe this is the only responsible action at this time. While we are currently working with the local promoter to possibly reschedule the event, ticket buyers can contact the point of purchase for refund information. 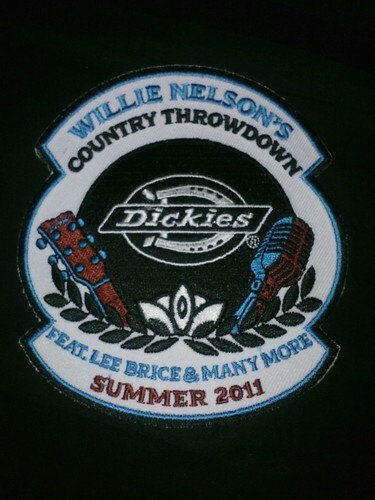 Further details about any reschedule will be available at www.countrythrowdown.com. 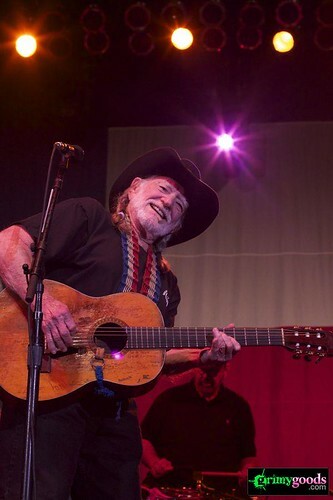 Willie Nelson capped off a country music festival for the ages Saturday at Pozo Saloon. 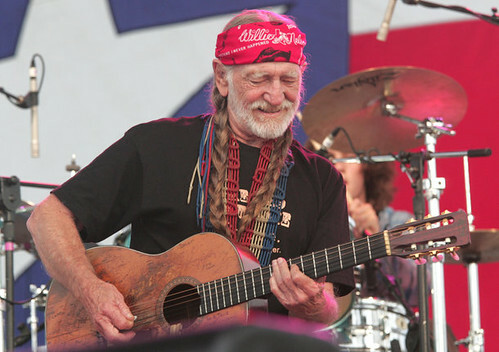 Thought to be the largest single-day concert in San Luis Obispo County history, Willie Nelson’s Country Throwdown featured 16 artists spanning eight hours and three different stages. Country artists and fans from across the nation packed Pozo, arriving in tour buses, RVs and motorcycles. A military motorcycle ride from Atascadero to Pozo even included two of the performing artists, Randy Houser and Craig Campbell. The Throwdown performers, who have now been on tour for a month, were delighted to take their talents to Pozo, a renowned setting in the world of country music. Alabama native singer-songwriter Drake White, who kicked off the festivities with a 3 p.m. performance, raved about the Pozo Saloon. White also expressed great admiration for Willie Nelson and appreciation for the country legend’s choice of artists accompanying him on tour. “It’s like he hand picked us, but he doesn’t really know us,” White said. After White’s opening act, the crowd shifted to the Blue Bird Café Tent and performances rotated between three stages for the following three hours. Brent Cobb, part of the opening country quartet at the Bluebird Café Tent, shared White’s sentiments about Nelson and the gang. The main stage performance began just shy of 5:30 p.m. with up-and-coming country sensation Lee Brice, another Southerner enthused about taking the stage at Pozo Saloon. Randy Houser and Jamey Johnson followed Brice’s act, leading up to Willie Nelson finally taking the stage at 9:20 p.m.
Nelson opened with “Whiskey River” and pleased the crowd with favorites such as, “On the Road Again”, “Always on My Mind” and “Mammas Don’t Let Your Babies Grow Up to Be Cowboys”. Willie’s son, Lukas Nelson, who performed earlier in the day, joined his father mid-act. Upon conclusion of the concert, the elder Nelson greeted select fans backstage. 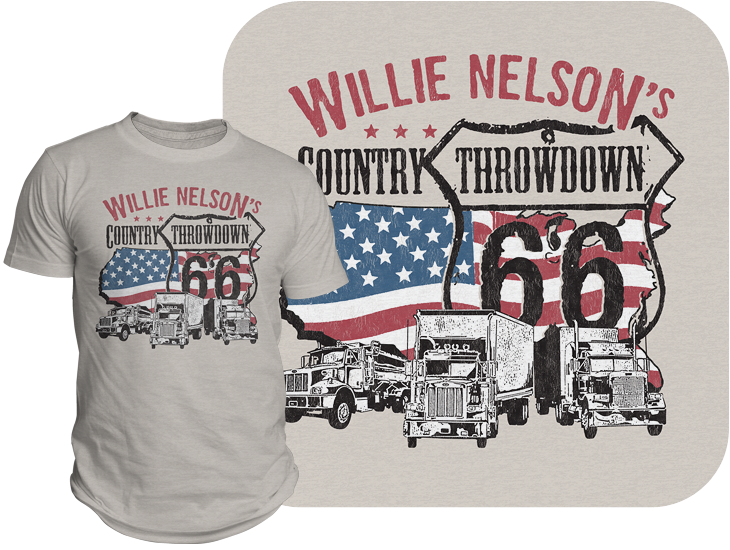 Catch it while you can — Willie Nelson’s Country Throwdown Tour! 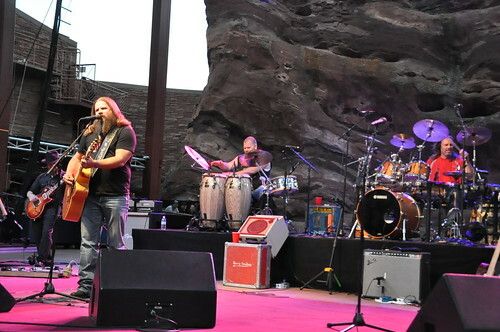 I had a great time at the Country Throwdown show when it came through Denver last week. 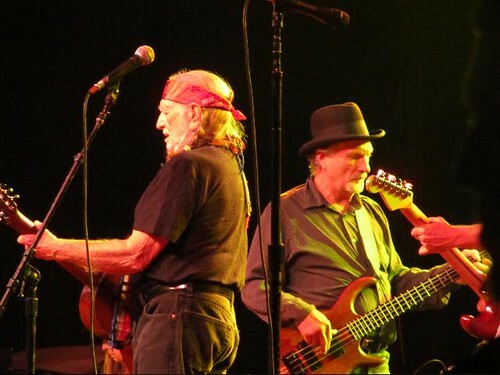 I know I wrote about the Willie Nelson & Family a week ago, but I enjoyed the whole show. Whoever picked these artists is good at their job; wow, so much talent. Every band’s show was good. Red Rocks had the singer/songwriter tent and the Side Stage up at the top of the stairs – if you’ve been there, you know what I mean. Lukas Nelson and the Promise of the Real, Brantly Gilbert, Craig Campbell and Drake White performed upstairs. Large crowds of fans hiked up the stairs (192 of them at red rocks, but who’s counting?) Artists came on and played or sang with other bands, and the show had the feel of a travelling Willie Nelson picnic. It is a festival, with a band of travelling gypsy musicians. 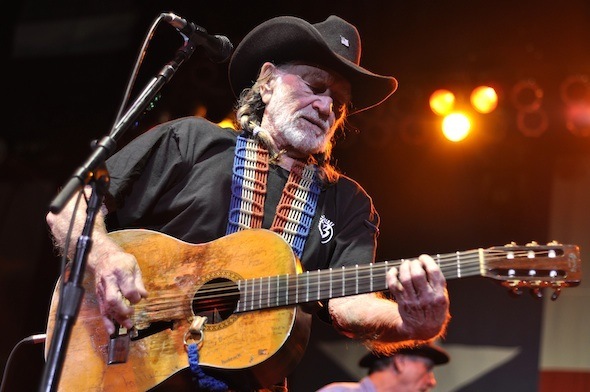 The show ends its run on the Fourth of July, at Billy Bob’s Texas in Fort Worth, and will help celebrate another Willie Nelson’s picnic. They will be joined by other Texas and Picnic favorites: Ray Price, Billy Joe Shaver, Leon Russell, the Paula Nelson Band, Asleep at the Wheel, David Allan Coe. If you haven’t seen this tour before the 4th, this would be a great chance to see the show. Great way to celebrate the 4th of July. 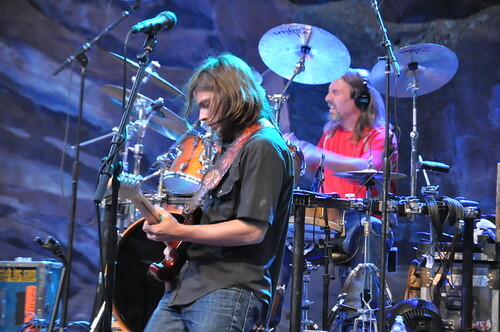 Jamie Johnson and his band performed right before Willie Nelson & Family. More artists have been added to the lineup for Willie Nelson’s 4th of July picnic at Billy Bob’s Texas, in the Fort Worth Stockyards. 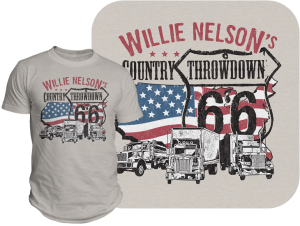 So far, Ray Price, Billy Joe Shaver, Johnny Bush, the Paula Nelson Band, David Allan Coe, and Leon Russell have been named to join up with Willie Nelson and Family and the other artists on the current Country Throwdown Tour. The show on the 4th will be the final show on Country Throwdown Tour. 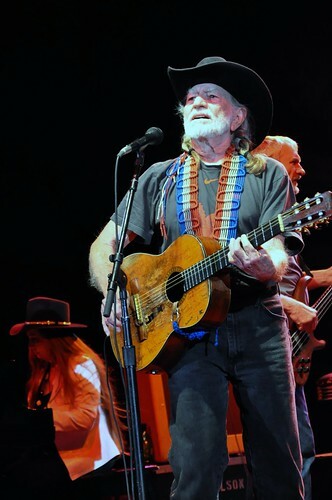 The Fort Worth Stockyards hosted Willie’s Picnic in 2004, 2005 and 2006, and this year the concert will be held outside and inside of Billy Bob’s Texas. For more information visit Billy Bob’s site HERE.